Rajeev's World: Mumbai's New Stunner! 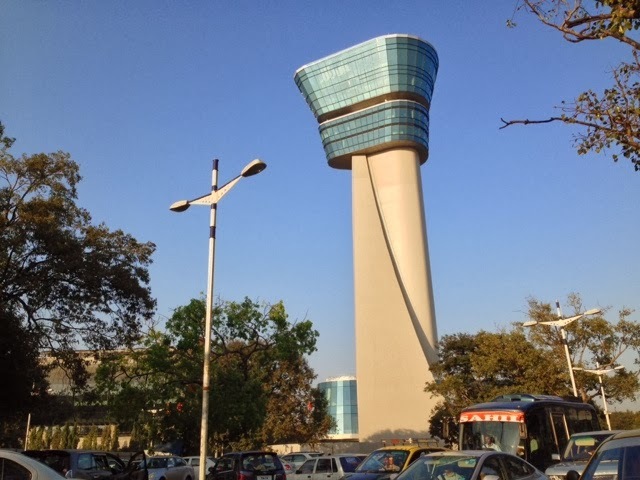 My city, Mumbai, has now got a new iconic structure - the new Air Traffic Control tower at Chhtrapati Shivaji International Airport. 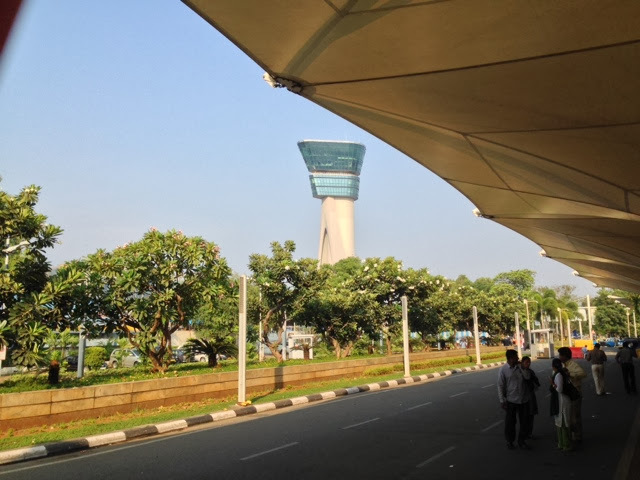 Presently, the structure is the tallest ATC tower in the country, standing at 83.8 metres. The structure is shaped like a wishbone and its distinct shape is an absolute stunner, especially in the evening, when it is illuminated, definitely sexier than a 36-24-36! I am proud of having this tower in my city, it makes me feel great, amazes me how this city is evolving!! From Mehrauli to St. Andrews, Bandra!